Typed mimeographed screenplay. 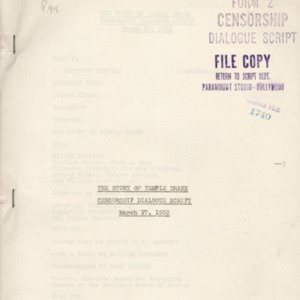 "The Story of Temple Drake: Censorship Dialogue Script." 17 March 1933. 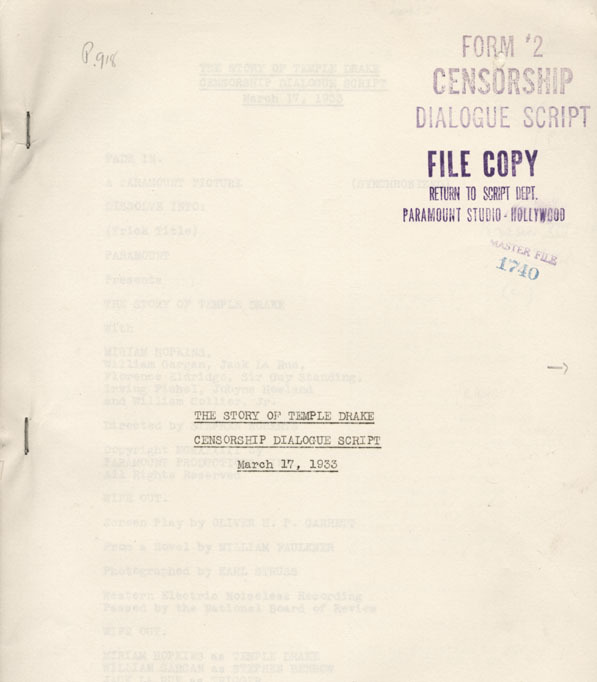 “Temple Drake,” University of Virginia Library Online Exhibits, accessed April 25, 2019, https://explore.lib.virginia.edu/items/show/652.